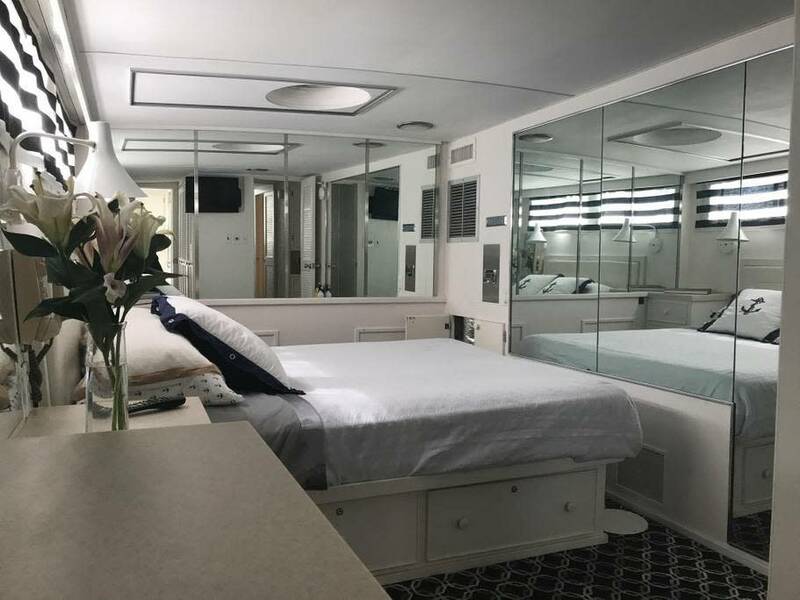 Our 68 ft luxury charter yacht is one of the few sizable multi level private Charter yachts in Chicago that was built as a true private yacht. 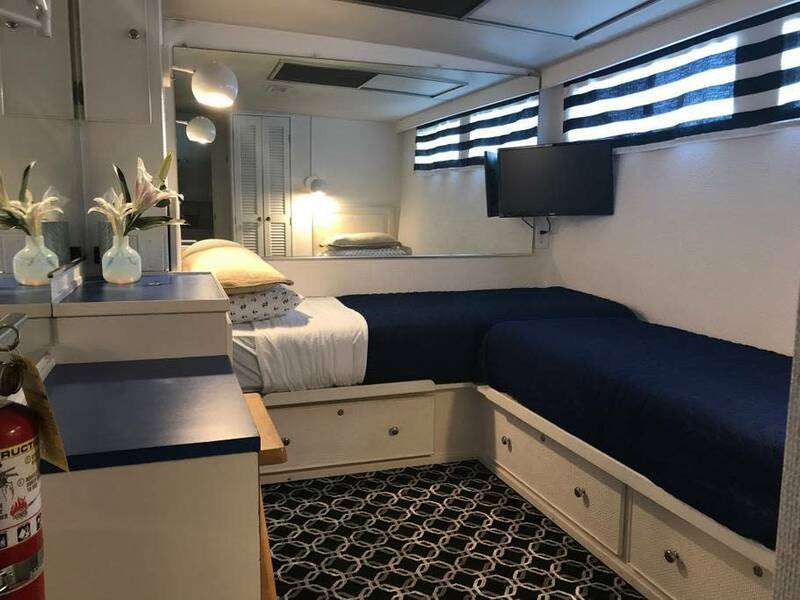 Our distinctive charter yacht offers you luxurious cruising in a tastefully-appointed main cabin, lovely veranda and spacious, open air upper deck. 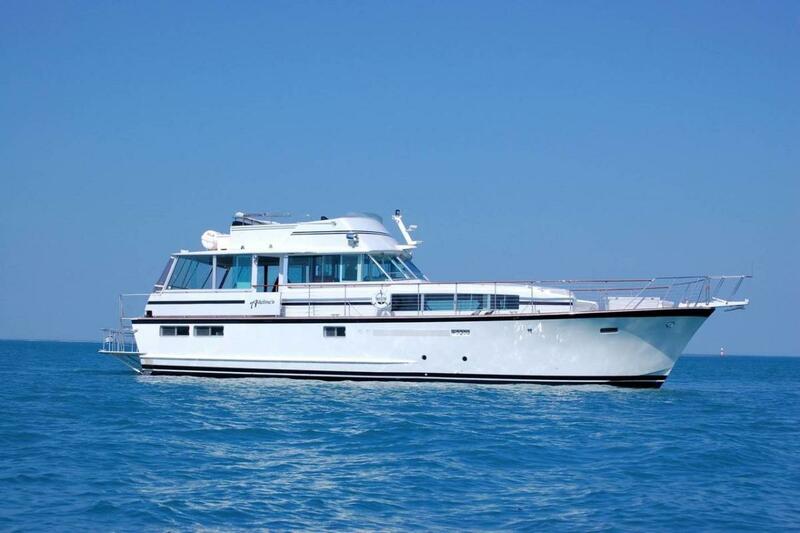 The yachts classic exterior lines are sophisticated, timeless and replicate the magnificence of a by-gone era combined with today’s modern amenities. 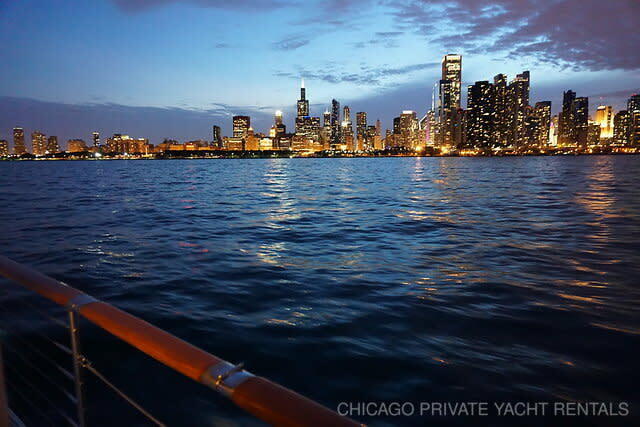 Guests on-board will find her design to be a fresh and sophisticated upgrade from the less intimate charter yachts while cruising the Chicago shoreline. 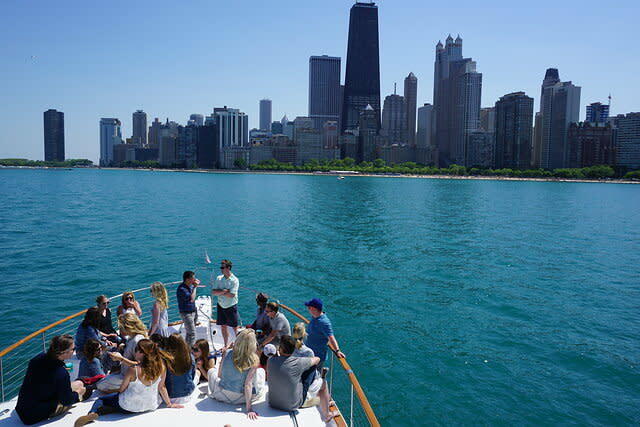 An architectural tour is the best adventure you can take in Chicago over the summer. 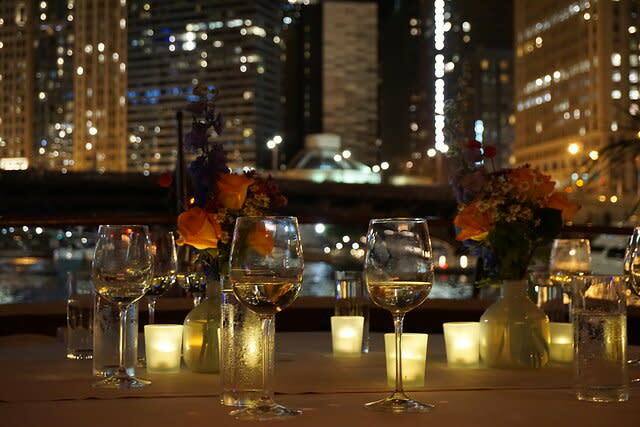 We are connected with professional guides who love our city and want to tell you all about it. 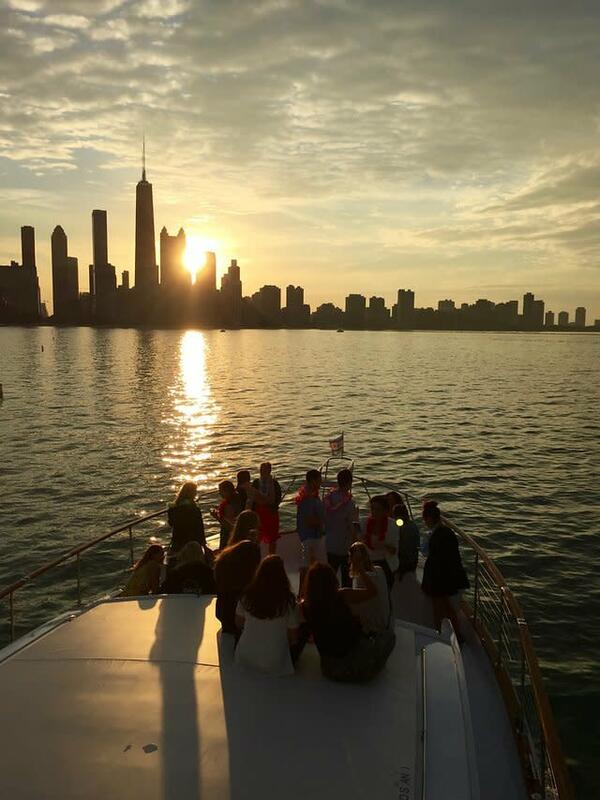 Social Events – It's time to celebrate aboard the ultimate floating venue on Lake Michigan. 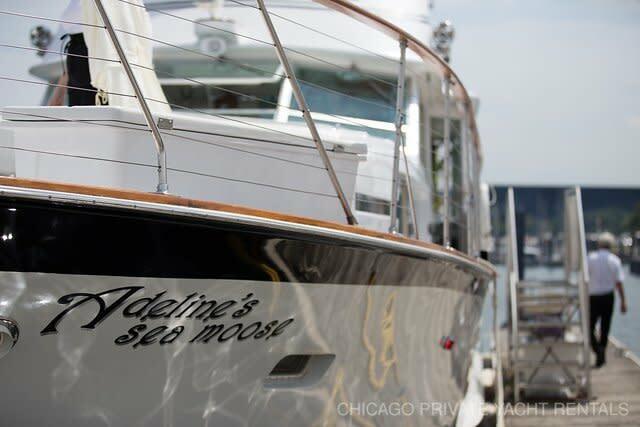 We love helping you celebrate your birthdays, anniversaries, bat mitzvahs, holiday parties, entertaining out-of-town guests, graduations, reunions, social and business gatherings, bachelor and bachelorette parties, wedding and baby showers and more on Adeline’s Sea Moose. 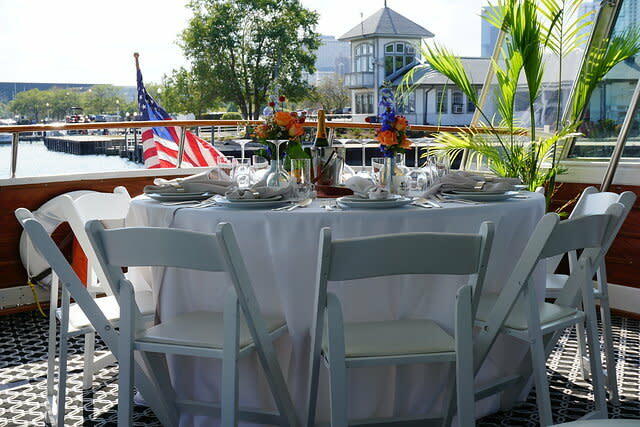 We will create memories for your special occasion that last a life time! 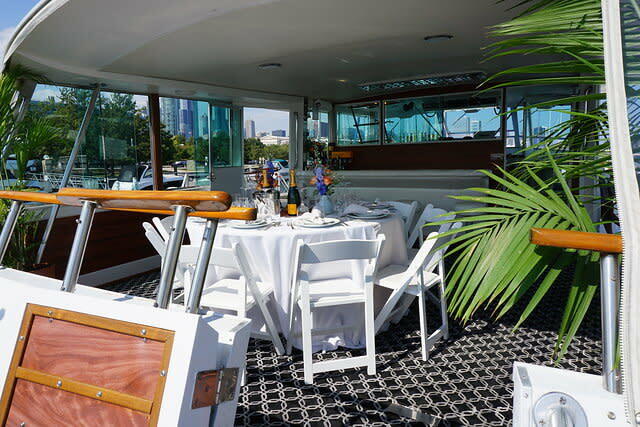 Corporate Activity & Entertainment – If you have a yearly awards banquet, client event, or any other special event our luxury yacht will provide the WOW factor you are looking for. 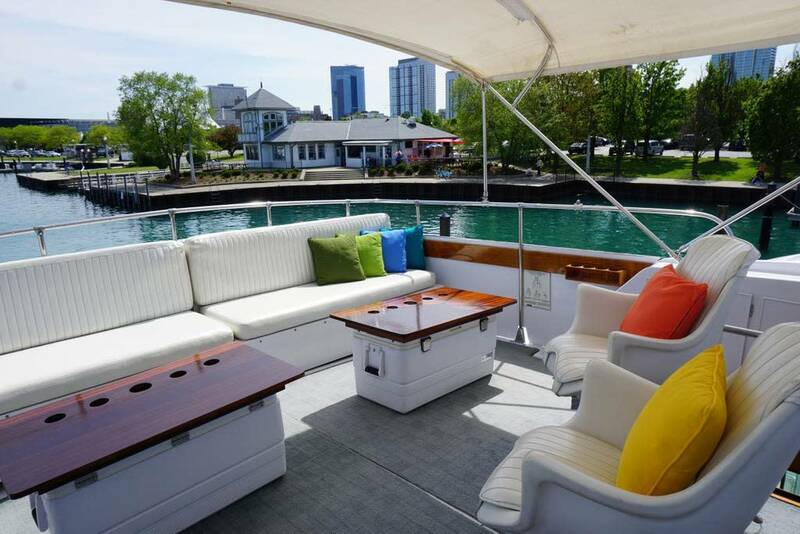 The next major deal you do can be on this luxury yacht as it cruises Lake Michigan while you enjoy the Chicago’s skyline, complete with food and beverages. 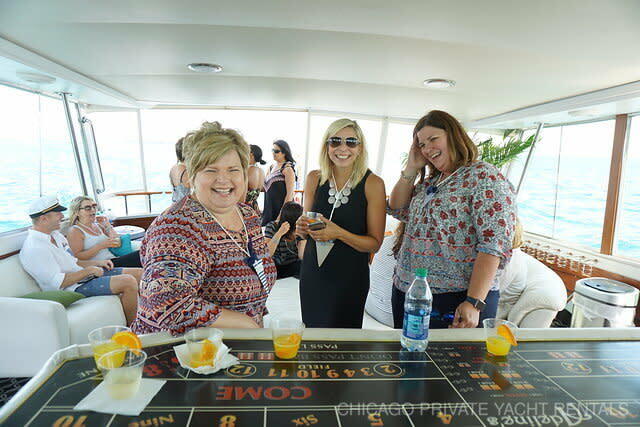 Your clients and colleagues will thank you for one of the most amazing events of their lives! 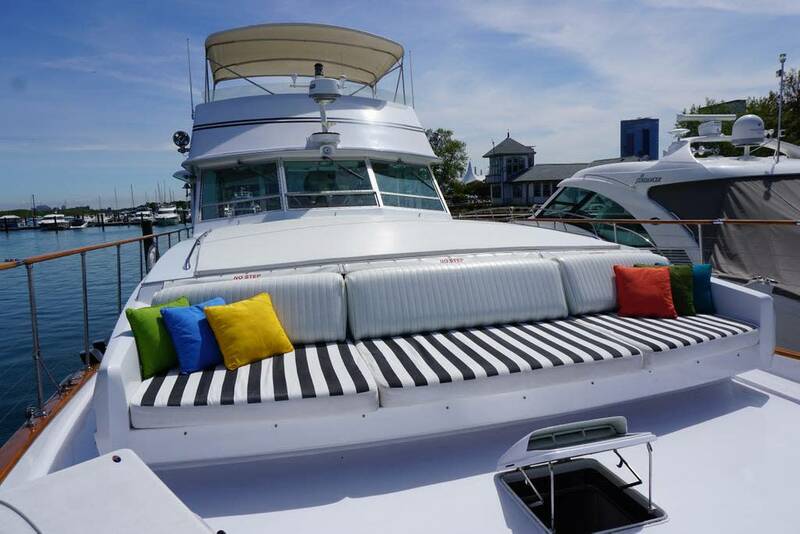 Stationary Yacht Charters – Don't want to leave the pier? No problem! 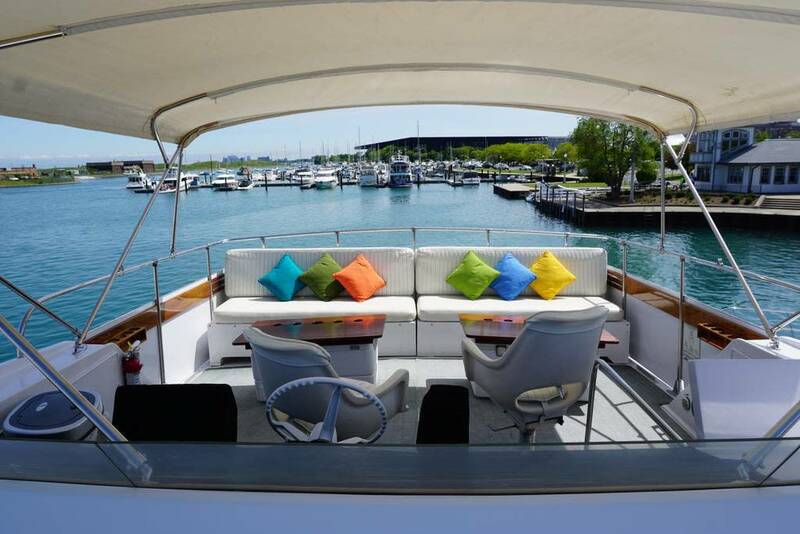 Rent our yacht and be moored by the dock for the entire time. 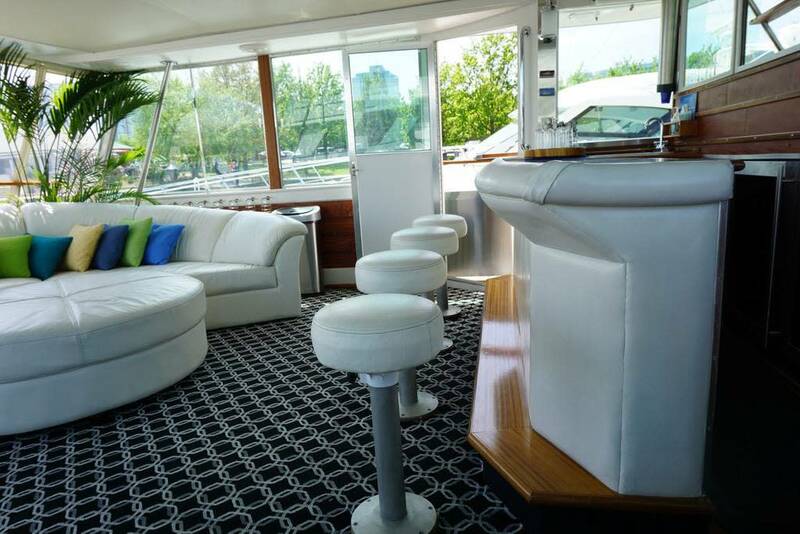 Align your brand with a luxury yacht and use the impressive interior and spacious deck space as your hospitality suite and entertainment venue. Non-Profit Sector - We love to come alongside organizations as a host. It's known that in order to raise money, sometimes you have to spend it. 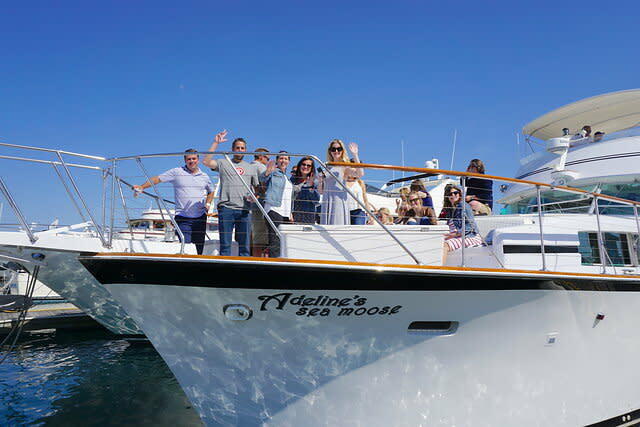 Bring your high-end donors aboard Adeline's Sea Moose as an effective way to thank them for being part of your mission, and to help them get to know you better. They will be sure to show up to an event like this! Overnight Stays - We can host up to 6 guests during an overnight stay. 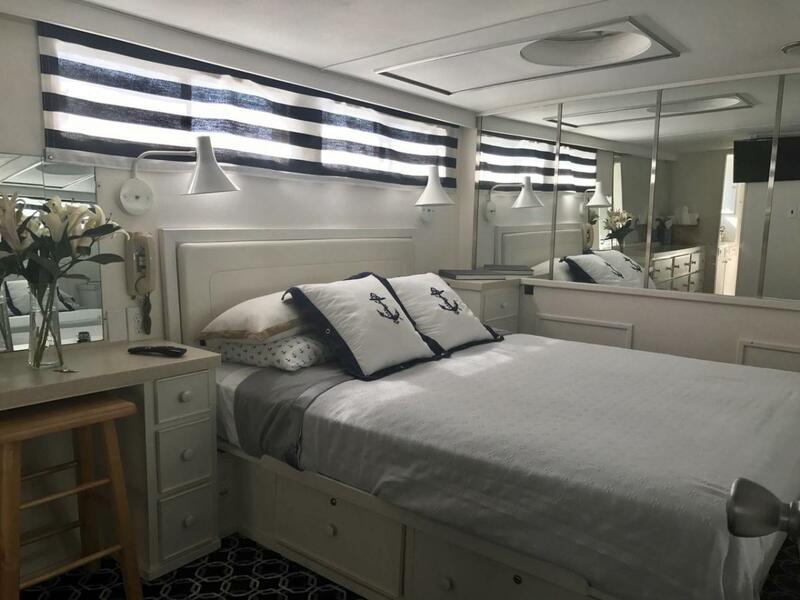 Rather than reserving a night at a hotel and renting a few rooms, stay downtown at Adeline's. 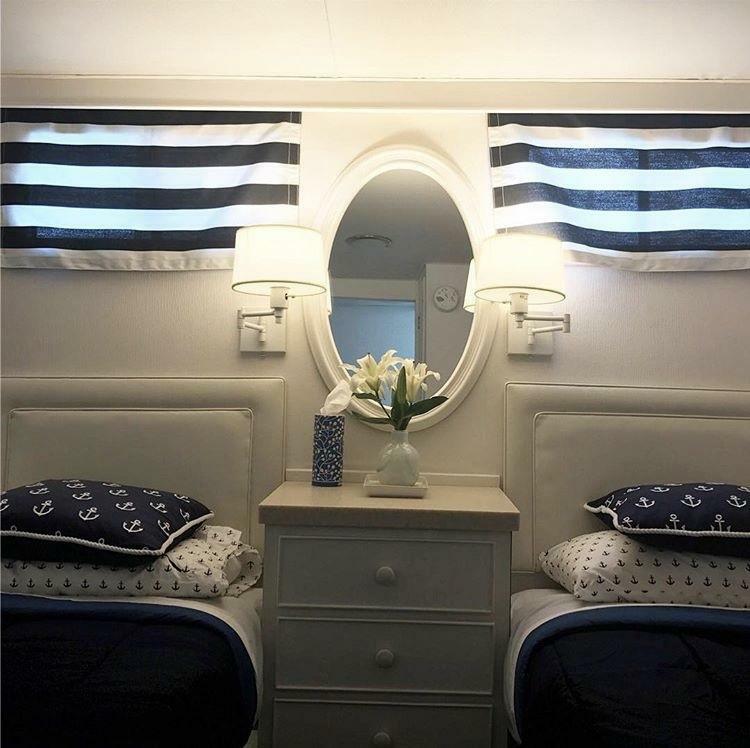 We have 3 bedrooms and 3 bathrooms. 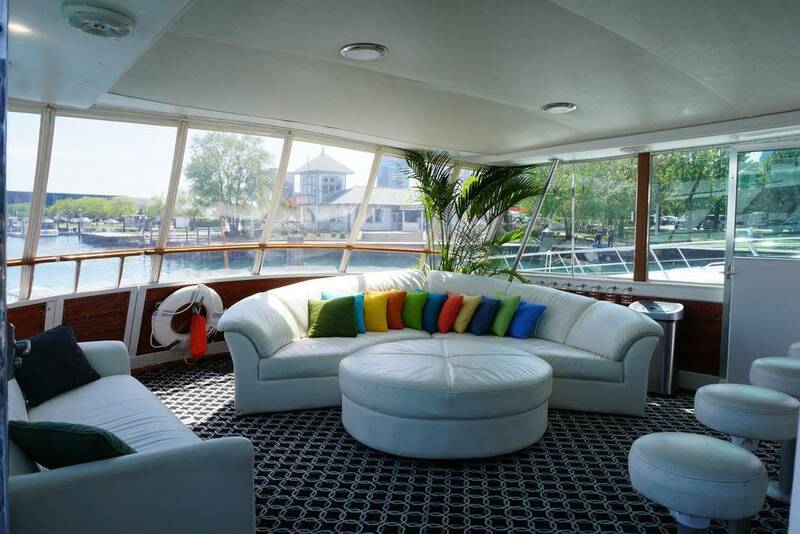 Along with our full kitchen and dining spaces, we have luxurious lounge areas inside and out. You can't ask for a better location with better views or privacy.